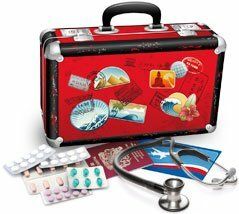 Health and medicines should be on your checklist when travelling abroad, along with tickets, accommodation, money and passports. Increasing numbers are visiting exotic or developing countries, many of which require precautions. Travellers returning from abroad and feeling unwell should contact their GP and inform them where they have been. Dr Fox prices are 25%–50% lower cost. Many GP surgeries refer patients to our service because of this. Over 1,500 travellers from the UK caught malaria in 2013 and 7 of them died. Dr Fox provides malaria tablets for all destinations for trips from 1 week to 1 year. Travel sickness tablets work by damping down the confusion in the brain that occurs when motion tells the brain one thing and vision tells it another. Prevent jet lag symptoms with natural hormone tablets on prescription to help adjust your sleep pattern to a different time-zone. The body produces a natural hormone called melatonin which helps to regulate sleep and wakefulness. Useful if your holiday plans cover the same period as your menstrual cycle. If you are planning to climb above 2,500 metres (8,000 feet) you may wish to consider bringing Diamox (acetazolamide) in case of altitude sickness symptoms. The NHS Fit For Travel website gives details about travel health considerations, including immunisations, vaccinations, malaria prophylaxis recommendations and other travel health information for every country worldwide. Countries have different restrictions on taking medicines through customs. 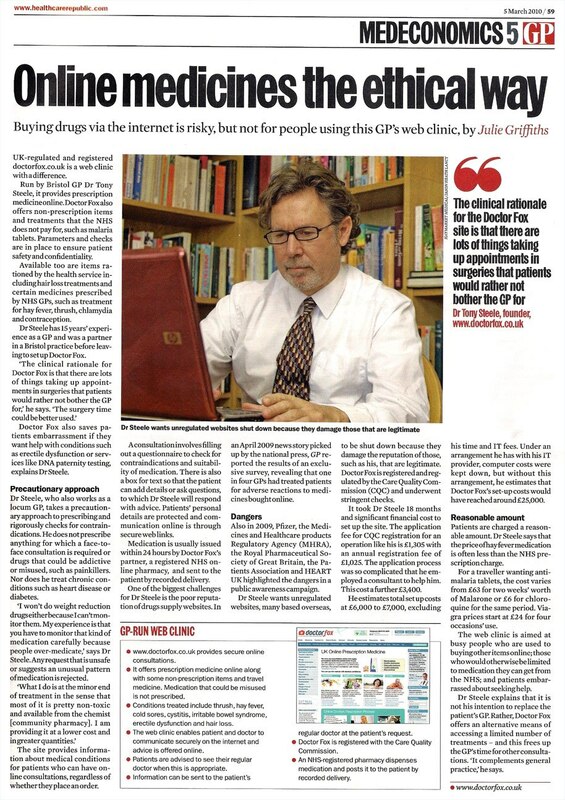 Dr Fox can provide a copy of a patient's prescription on request for travel/import purposes.